Accidental Loss or destruction of or damage to customers’ property whilst in transit anywhere within the European Union, Norway or Switzerland and whilst stored at the premises specified in the appendix. Cost price of the Property less an amount for depreciation wear and tear and the Insured’s Retention. However, this policy is subject to the Condition of Average which means that in the event of a loss the amount recoverable shall be calculated as a percentage of the Sum Insured against the Total Value subject, in all events, to the maximum claim not exceeding the Sum Insured or Total Value, whichever is the lesser. No property may be abandoned to Insurers but Insurers may, at any time after insured loss or damage, take and/or retain possession of such property and deal with any subsequent salvage as considered appropriate. The value of the Property or the declared value of the property or the Limit of Liability shown on the Appendix to the Policy whichever is the less. 1. Loss or damage due to vermin, insects, mildew, rust, wear and tear, deterioration or changes brought about by natural causes, inherent vice, latent defect or the leakage of liquid from any receptacle or container. 2. Depreciation whether due to loss or damage or any other cause. 3. Delay, loss of market or other consequential loss of any kind. a. cash, bank and currency notes, cheques, coins, stamps, securities for money or other negotiable instruments. b. jewellery, watches, precious metals, precious stones or articles composed of any of them, furs or livestock unless specifically mentioned as insured by this cover. c. furs, perfumery, wines, spirits, tobacco, cigars, cigarettes, foodstuffs, plants, perishable goods, or any kind of explosives. d. replacement of or work on any undamaged or remaining items solely because they form part of a set, suite group or collection of articles of similar nature, colour, pattern or design. e. Loss or damage to data records other than the cost of equivalent blank data materials. 5. Mechanical or electrical derangement unless caused by external physical damage, fire, flood, collision or overturning of the conveying vehicle. 6. 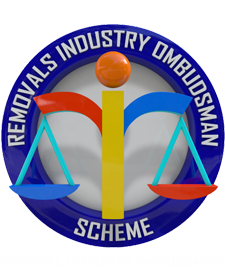 In respect of Overseas removals only, breakage, scratching, denting, chipping, staining or tearing of owner packed property unless caused by fire, stranding, sinking, collision or overturning of the vessel or conveyance, missing items from owner packed receptacles unless itemised and a valued list of contents supplied to the remover prior to the transit. 7. Breakage of owner packed property unless the box or container shows signs of external damage. 8. Loss or damage arising from detention, confiscation, destruction or requisition by Customs House or other officials or Authorities or by seizure or sale under any process of Law. 9. Radioactive contamination War and Kindred Risks (except whilst the property is waterborne) or Sonic Bangs or loss or damage caused by Riot or Civil Commotion in Northern Ireland or the Republic of Ireland. 10. All benefit under the policy shall be forfeited if any claim is in any respect fraudulent or fraudulent means are used by the insured or anyone acting on their behalf to obtain any benefit under the policy. 12. Any potential claim must be advised to the responsible remover, and confirmed in writing, within 7 days of the completion of the removal. 13. Law Applicable to Contract. The parties to a contract of insurance covering a risk situated in the U.K. are allowed to choose the law applicable to the contract. In the absence of agreement to the contrary, the law applicable to this contract will be that of the country where the policyholder is usually resident where this is within the UK, the Channel Islands or the Isle of Man, otherwise English Law will apply. 14. Furniture defined as ‘System or Kit’ where alleged damage results from dismantling or re-assembly. See what our happy customers say about our service! Let us take the pressure of moving house and use our Packing Service! A second to none service - guaranteed! Could A J Stephenson Removals Ltd possibly have better moves than Ashley Banjo? Find out from the man himself. Thanks @AshleyBanjo hope your happy in your new home. 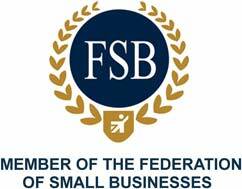 But don’t just take our word for it - you can find a host of exceptional testimonials from our former customers. Thank you Karen C for giving us 5 Stars!! 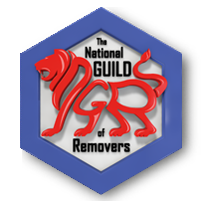 A.J.Stephenson Removals is a registered company in England.